The Adare Clinic operate two FRAXIS CO2 lasers for surgical applications and skin rejuvenation treatments. CO2 Laser uses light to remove layers of skin to effectively resurface and improve skin condition. It can be used for mild resurfacing or for more invasive treatments that significantly improve the appearance of the skin. Treatments are carried out mostly on the face and neck area and the surgical handpiece can be used to treat all over the body. 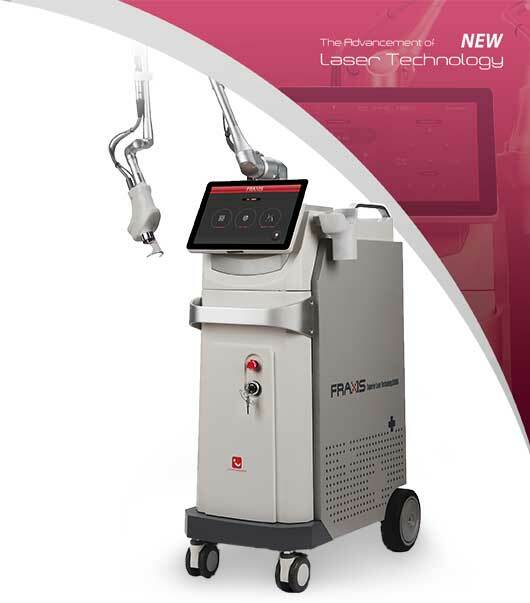 Fractional Resurfacing using FRAXIS is cutting edge technology in which the laser makes Micro Thermal Zones in your skin. The body’s healing process repairs not just the Micro Thermal Zones but the entire treatment area. Using fractional CO2, the healing time is much quicker that traditional lasers and downtime is kept to a minimum. CO2 laser is a viable alternative to surgical procedures that can take years off the appearance of aged skin. Treatments at THE ADARE CLINIC start from €1,000 depending on area treated.